Limited space doesn't mean you need to sacrifice performance. 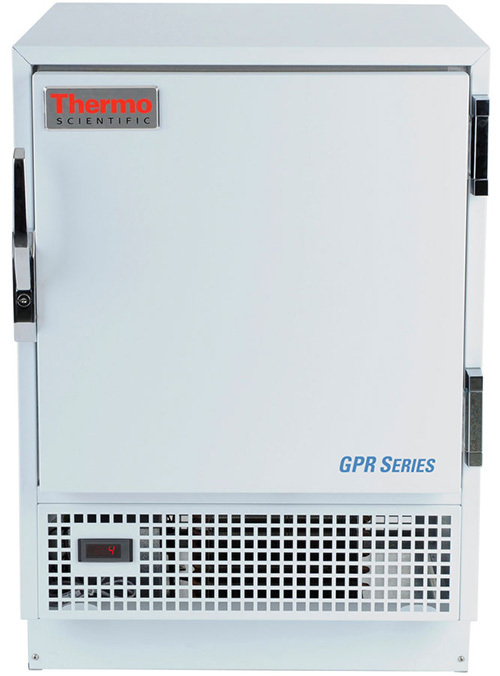 Thermo Scientific general-purpose under-counter laboratory refrigerators are built with the same high quality components and controls as our larger units. 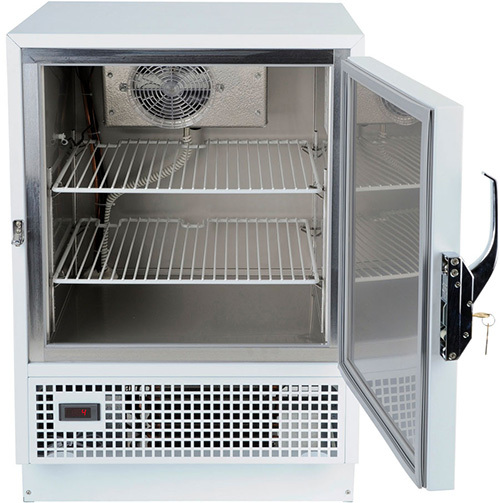 This allows scientists and technicians to keep critical samples close to their workspace---without the worry of temperature variations found in lower quality domestic units. Part Number 7410TA. Includes (1) shelf and (4) shelf clips. Part Number 6383-7A. Seven-day chart recorder records temperatures from -40 to +38C. Uses pressure-sensitive paper which requires no inking. Pack of 50 charts included. Free Standing. Customer installed. Please use a qualified technician. Part Number 6898. Display temperature and activate audible and visual alarms to warn of overtemperature and power failure. Features Temperature range of -100° to +25°C, 8-foot Solid-state PTFE Probe of 1.25"L x 0.25" Dia, High-temperature alarm with adjustable setpoint with 1°C display, Alarm mute and chirp, Audio delay timer, Remote alarm contacts (SPDT), Battery backup, Low-voltage AC power supply, LCD alphanumeric display, Red visual alarm, Velcro® mounting method, Case dimensions: 5L x 4.5W x 2 in.D.